One of my very favorite ways to serve brussels sprouts, a vegetable that really doesn't get enough attention. The cranberries make them sweet. Roasted they are a little crispy and so tender they just burst with flavors. 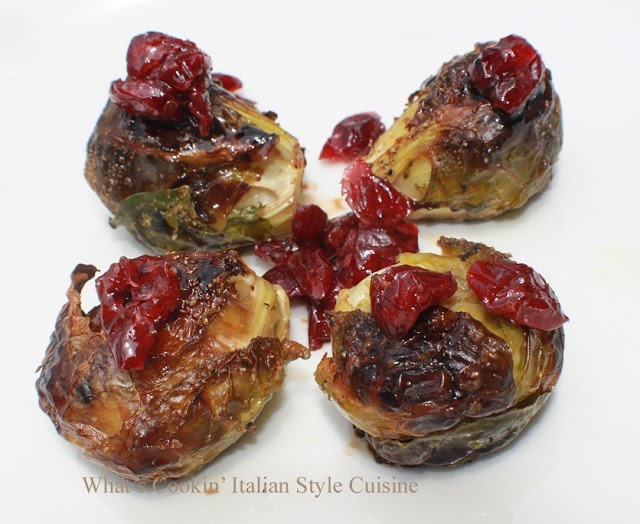 I like to call these my mini cabbage recipe with cranberries. The balsamic vinegar just compliments this dish. These are sweet tender and very tender and so pretty for a Holiday table! Clean and wash brussels. These will be roasted on a oil sprayed cookie sheet tossed in olive oil, sprinkle lightly with salt, pepper and garlic powder. Roast in a hot preheated oven at 400 degrees for around 35 minutes till soft and nicely browned. In a small pan add the sugar and vinegar. Boil on high, then reduce heat to medium for around 15 to 20 minutes until very thick. Toss sprouts with balsamic mixture and top with cranberries, and almonds. Serve immediately. Sounds really Christmasy with cranberries in the mix. It looks yummy. I'll definitely try it out - thanks! Will this recipe make me a brussel sprout fan? I have never liked them, but I am guessing it is because of the way they were prepared. The cranberry and balsamic part sounds good. very nice Claudia. I love brussels and with cranberries are just perfect. Do you have them for Christmas as well where you are? In the UK they are a must! This is definitely a tasty way to serve sprouts. I'll have to remember this. 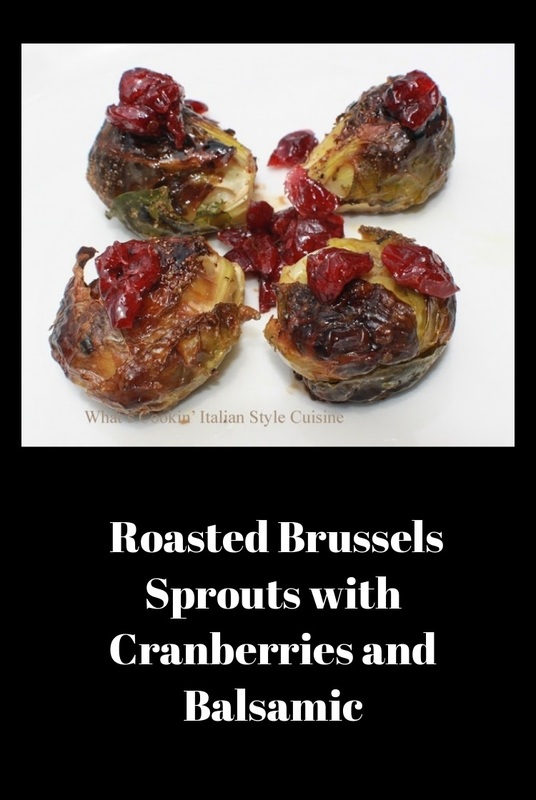 These look amazing, Claudia...the sweetness of the dried cranberries must taste wonderful with the Brussels sprouts! This sounds a lot like the recipe I use.my recipe uses bacon and balsamic, but the cranberries added would taste good too. I'm going to try that. Loving this. Brussels sprouts are loved here. I usually do them with curry and butter but I love the autumn twist and the cranberries. An the roasting. On my agenda for the week.